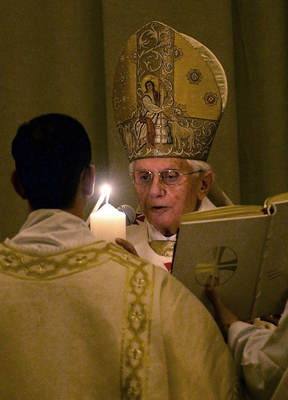 Pope Benedict XVI, carrying a tall, lit candle, ushered in Christianity's most joyous celebration with an Easter vigil service on Saturday night, but voiced fears that mankind is groping in darkness, unable to distinguish good from evil. Easter for Christians commemorates Christ's triumph over death, with his resurrection following his crucifixion. Message: As part of his message, the Pope warned that the world was losing how to differentiate between good and evil, losing sight of direction. Strengths: With the Pope's message of warning, he also said that life is stronger than death, good stronger than evil, love stronger than hate and truth stronger than lies. Benedict, who has made protection of the environment a theme of his papacy, made a reference to urban pollution in his homily. "Today we can illuminate our cities so brightly that the stars in the sky are no longer visible,' he said. 'Is this not an image of the problems caused by our version of enlightenment?" "With regard to material things, our knowledge and our technical accomplishments are legion, but what reaches beyond, the things of God and the question of good, we can no longer identify,' Benedict added, saying that faith was the 'true enlightenment." During the vigil ceremony, Benedict welcomed eight adult converts to the church, pouring water over their bowed heads in baptism. 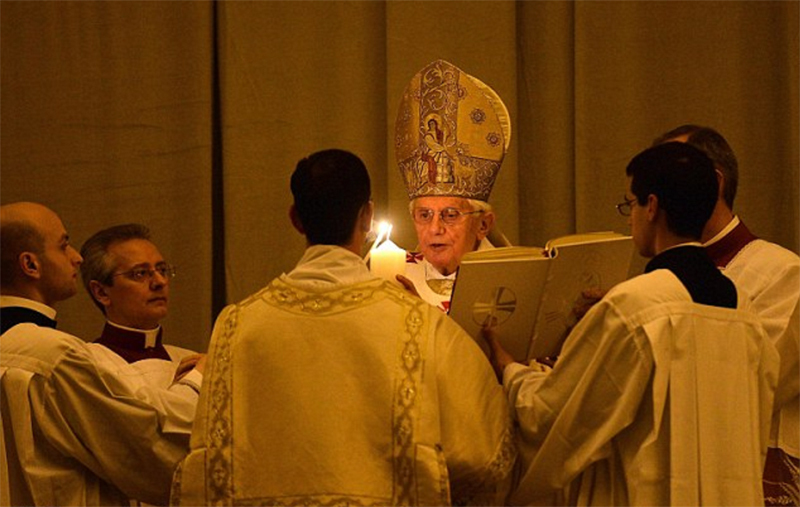 On Sunday morning, Benedict led Easter Mass in St. Peter's Square, then delivered a speech from the central balcony of the basilica, at the end of stamina-testing Holy Week appearances.